This necklace represents the language of love. 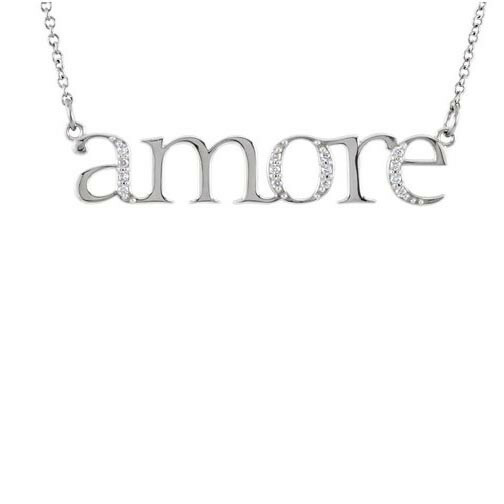 Crafted in 14kt white gold accented with diamonds, the piece spells out amore, the word for love in Italian. If you're looking for a piece of jewelry with foreign intrigue and fabulous fashion sense, this necklace has both!